We offer this intermediate class in two separate sessions. The first session will be from 7pm to 9:30pm at the shop and will cover the basics of saltwater fly fishing for salmon and sea-run cutthroat in Puget Sound. Topics will include equipment, fish movement in the saltwater, the effect of tides, baitfish, relevant fly patterns and fishing methods. The second session will run from 7:00 am to 11 am at a local Puget Sound beach. The location will be determined by the tides that occur on this day. 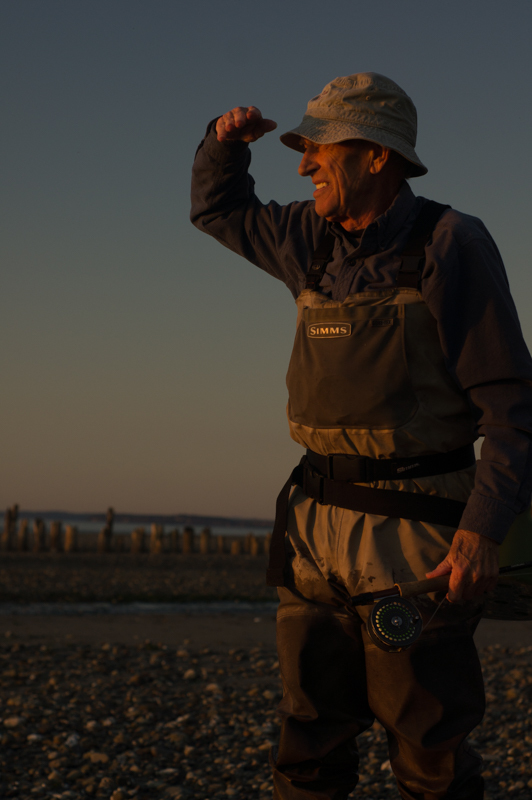 The first part of the day will focus on improving your distance casting as this is critical to your success in Puget Sound fly fishing. The remainder of the day will focus on reading the water/beach and presentation instruction. 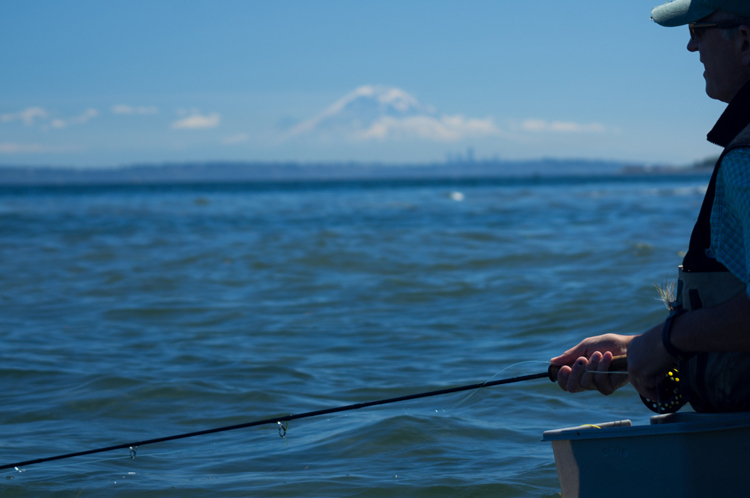 Puget Sound can be an intimidating place to fish, but it is very productive and relatively under utilized compared to other fishing locations. The participant will finish the class with the necessary skills to take advantage of the great opportunities that exist in Puget Sound. Participants should plan on using their own equipment. Saltwater fishing licenses are not required for the second session. But if you plan to fish after class, then make sure to check regulations and buy a saltwater license from WDFW. Hope you can join us in class! Please call the shop to register (206-362-4030) and register early as this classes fills quickly.